Often, if we don’t get what we want right away, we can feel that our connecting isn’t getting us anywhere. Connection and intention take practice and structure. And yes, miracles are instantaneous. And, still you provided the energy to create that miracle. 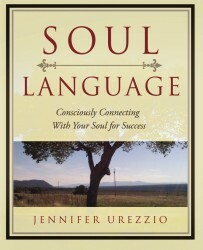 Understanding your Soul Languages is the first step. Connection on a continuing basis and using energetic tools supports manifestation. These simple and profound tools have been created, because I needed structure that worked. I have innovation in my Soul and can get bored very easily. I’m also a warrior, so if I don’t see results right away, I can feel frustrated and move into not enough. So I created tools to support my manifestation. Soul Language Tool Kit – includes materials that help you set your intention, create an order from the Universe, and create inspired action. Intention Sheet – which helps you tune in, release and create your powerful intention each day using your Soul and the Soul of your business to support this intention. Order Form of the Universe – we often think that the Universe or Divine knows what we want, and we don’t claim it. We are also fully aware of what energetic roadblocks we might be putting up. This worksheet allows you to collaborate with the Universe in a bigger way. Creating Divine Inspired Action – I hear this so often, “How do I know the ‘right’ step to take?” This worksheet supports listening internally and seeing, knowing and taking action on the Divinely inspired step. This helps us be in the flow and manifest what we desire and not based on pattern.